I have a chapter in a new book edited by David Howden and Joseph Salerno, The Fed at One Hundred: A Critical View on the Federal Reserve System (New York: Springer, 2014). My chapter is called “Information, Incentives, and Organization: The Microeconomics of Central Banking,” and builds upon themes discussed many times on this blog, such as Fed independence. Here is a SSRN version of the chapter. The book comes out next month but you can pre-order at the Amazon link above. A new NBER paper on 19th-century manufacturing firms in Massachusetts finds that incorporation rates, ownership concentration, and and managerial ownership varied systematically with technology (factory versus artisanal production, use of unskilled labor, etc.). In other words, governance forms were not determined primarily by the legal or regulatory environment, social and cultural issues, the desire for legitimacy, or other noneconomic factors, but by standard agency considerations. This paper analyzes the use of the corporate form among nineteenth-century manufacturing firms in Massachusetts, from newly collected data from 1875. An analysis of incorporation rates across industries reveals that corporations were formed at higher rates among industries in which firm size was larger. But conditional on firm size, the industries in which production was conducted in factories, rather than artisanal shops, saw more frequent use of the corporate form. On average, the ownership of the corporations was quite concentrated, with the directors holding 45 percent of the shares. However, the corporations whose shares were quoted on the Boston Stock Exchange were ‘widely held’ at rates comparable to modern American public companies. The production methods utilized in in different industries also influenced firms’ ownership structures. In many early factories, steam power was combined with unskilled labor, and managers likely performed a complex supervisory role that was critical to the success of the firm. 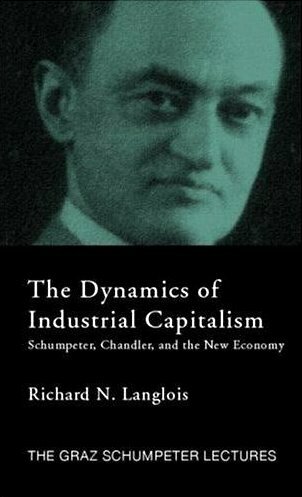 Consistent with the notion that monitoring management was especially important among such firms, corporations in industries that made greater use of steam power and unskilled labor had more concentrated ownership, higher levels of managerial ownership, and smaller boards of directors. Do firm boundaries — defined as ownership of the relevant capital goods — affect firm behavior and performance? Or is the firm best understood as a nexus of contracts, in which ownership boundaries represent arbitrary legal distinctions? Coase, Williamson, Hart, and Foss and Klein take the former position, while Alchian (sometimes), Demsetz, Jensen, and Meckling lean toward the latter. A very interesting paper from Amit Seru, “Firm Boundaries Matter: Evidence from Conglomerates and R&D Activity,” offers some empirical evidence on the effects of boundary choices on innovation, finding significant and important effects. This paper examines the impact of the conglomerate form on the scale and novelty of corporate R&D activity. I exploit a quasi-experiment involving failed mergers to generate exogenous variation in acquisition outcomes of target firms. A difference-in-difference estimation reveals that, relative to failed targets, firms acquired in a diversifying mergers produce both a smaller number of innovations and also less novel innovations, where innovations are measured using patent-based metrics. The treatment effect is amplified if the acquiring conglomerate operates a more active internal capital market and is largely driven by inventors becoming less productive after the merger rather than inventor exits. Concurrently, acquirers move R&D activity outside the boundary of the firm via the use of strategic alliances and joint-ventures. There is complementary evidence that conglomerates with more novel R&D tend to operate with decentralized R&D budgets. These findings suggests that conglomerate organizational form affects the allocation and productivity of resources. Here is a longer, less technical write-up on the Corporate Governance and Financial Regulation blog. Diversification continues to be a central issue for strategic management, industrial organization, and corporate finance. 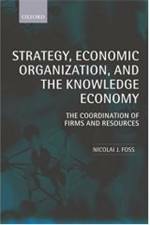 There are huge research and practitioner literatures on why firms diversify, how diversification affects financial, operating, and innovative performance, what underlies inter-industry relatedness, how diversification ties into other aspects of firm strategy and organization, whether diversification is driven by regulation or other policy choices, and so on. There are many surveys of these literatures (Lasse and I contributed this one). The investment community in the 1960s has been described as a small, close-knit group wherein competition was minimal and peer influence strong (Bernstein, 1992). As Bhide (1990, p. 76) puts it, “internal capital markets … may well have possessed a signiﬁcant edge because the external markets were not highly developed. In those days, one’s success on Wall Street reportedly depended far more on personal connections than analytical prowess.” When capital markets became more competitive in the 1970s, the relative importance of internal capital markets fell. “This competitive process has resulted in a signiﬁcant increase in the ability of our external capital markets to monitor corporate performance and allocate resources” (Bhide, 1990, p. 77). As the cost of external ﬁnance has fallen, ﬁrms have tended to rely less on internal ﬁnance, and thus the value added from internal-capital-market allocation has fallen. . . . Similarly, corporate refocusing can be explained as a consequence of the rise of takeover by tender offer rather than proxy contest, the emergence of new ﬁnancial techniques and instruments like leveraged buyouts and high-yield bonds, and the appearance of takeover and breakup specialists like Kohlberg Kravis Roberts, which themselves performed many functions of the conglomerate headquarters (Williamson, 1992). A related literature looks at the relative importance of internal capital markets in developing economies, where external capital markets are limited (Khanna and Palepu 1999, 2000). The key reference is to Amar Bhide’s 1990 article “Reversing Corporate Diversification,” which deserves to be better known. But note also the pointer to Khanna and Palepu’s important work on diversified business groups in emerging markets, which has also led to a vibrant empirical literature. The idea there is that weak institutions lead to poorly performing capital and labor markets, leading firms to internalize functions that would otherwise be performed between firms. More generally, firm strategy and organization varies systematically with the institutional environment, both over time and across countries and regions. The extent to which business groups ever existed in the United States and, if they did exist, the reasons for their disappearance are poorly understood. In this paper we use hitherto unexplored historical sources to construct a comprehensive data set to address this issue. We find that (1) business groups, often organized as pyramids, existed at least as early as the turn of the twentieth century and became a common corporate form in the 1930s and 1940s, mostly in public utilities (e.g., electricity, gas and transportation) but also in manufacturing; (2) In contrast with modern business groups in emerging markets that are typically diversified and tightly controlled, many US groups were focused in a single sector and controlled by apex firms with dispersed ownership; (3) The disappearance of US business groups was largely complete only in 1950, about 15 years after the major anti-group policy measures of the mid-1930s; (4) Chronologically, the demise of business groups preceded the emergence of conglomerates in the United States by about two decades and the sharp increase in stock market valuation by about a decade, so that a causal link between these events is hard to establish, although there may well be a connection between them. We conclude that the prevalence of business groups is not inconsistent with high levels of investor protection; that US corporate ownership as we know it today evolved gradually over several decades; and that policy makers should not expect policies that restrict business groups to have an immediate effect on corporate ownership. Do Prices Determine Vertical Integration? The title of this paper, by Laura Alfaro, Paola Conconi, Harald Fadinger, and Andrew F. Newman, caught my eye. Then the abstract really caught my attention. What is the relationship between product prices and vertical integration? While the literature has focused on how integration affects prices, this paper shows that prices can affect integration. Many theories in organizational economics and industrial organization posit that integration, while costly, increases productivity. If true, it follows from firms’ maximizing behavior that higher prices cause firms to choose more integration. The reason is that at low prices, increases in revenue resulting from enhanced productivity are too small to justify the cost, whereas at higher prices, the revenue benefit exceeds the cost. Trade policy provides a source of exogenous price variation to assess the validity of this prediction: higher tariffs should lead to higher prices and therefore to more integration. We construct firm-level indices of vertical integration for a large set of countries and industries and exploit cross-section and time-series variation in import tariffs to examine their impact on firm boundaries. Our empirical results provide strong support for the view that output prices are a key determinant of vertical integration. The surprising part is not the empirical result, which is interesting. The surprising part is that the underlying theory of vertical integration in the paper is no more sophisticated than what’s in the abstract: vertical integration is always more efficient than using the market, because a lot of people like Williamson and Hart and Moore have said so. Since integration implies fixed costs, firms (in perfect competition) won’t engage in this wonderful and indisputably efficient practice unless prices are high enough to cover the fixed costs. Readers of this blog will not need me to tell them what’s wrong with this. But I like the empirical result, which is consistent with my own suspicion that tariffs provide cover for firms to engage in inefficient vertical integration. The right spin on this result may well be the Michael Jensen story: lack of competitive pressure from the product market enables managers to retain earnings, which they spend on buying divisions or integrating into things they could buy more cheaply on the market.